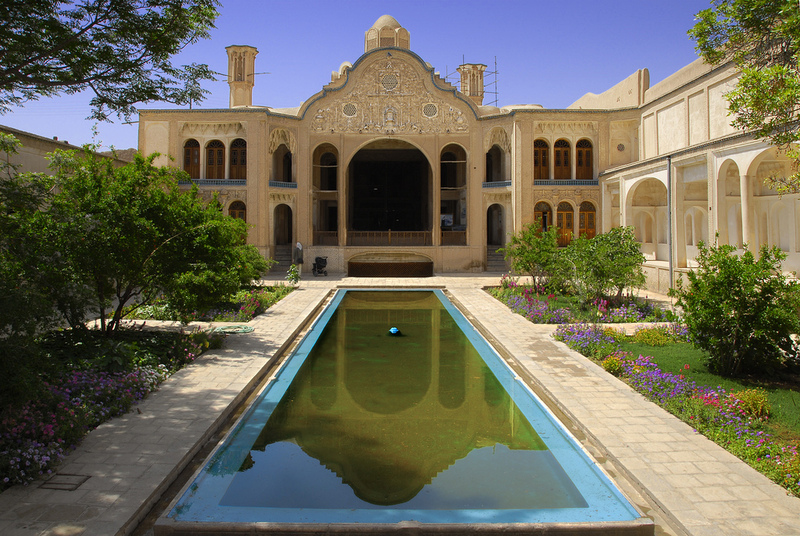 The Boroujerdi House (in Farsi: khaneh-ye Boroujerdi-ha) is a historic house in Kashan, Esfahan Province, Iran that is nowadays open to the public as a museum. It was built in 1857 for the bride of Haji Mehdi Boroujerdi, a welthy merchant, by architect Ustad Ali Maryam. 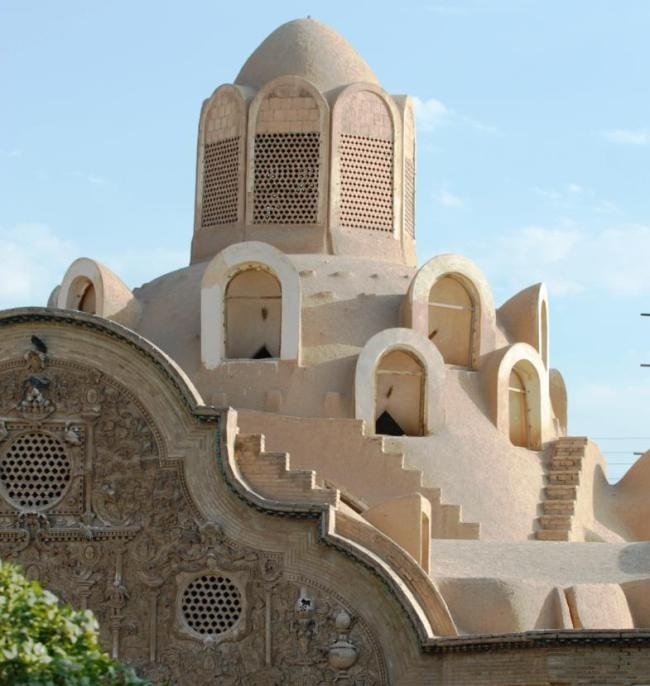 The bride came from the affluent Tabatabaei family, for whom Ali Maryam had built the Tabatabaei House some years earlier and the condition set for the marriage was the construction of a house as beautiful as the Tabatabaei House. Considered a true masterpiece of Persian traditional residential architecture, it took eighteen years to build using 25 workers, painters and architects. The House, famous for its atypical shaped wind towers made of stone, brick, sun baked bricks and a composition of clay, straw and mortar, has three entrances and consists of a rectangular beautiful courtyard, delightful plaster and stucco works of fruits and flowers and wall paintings by the royal painter Kamal-ol-Molk and three 40 meter tall wind towers which help to cool the house to unusually cool temperatures. The entrance to the building is in the form of an octagonal vestibule with multilateral skylights in the ceiling. Near the entrance is a five-door chamber with intricate plasterwork. Following a narrow corridor, a vast rectangular courtyard opens up. The courtyard has a pool and is flanked by trees and flowerbeds. Also in the vicinity of the corridor is a reception area sandwiched in between two rooms. Due to the high amount of sunlight these two rooms receive, they were mostly utilized during the winter months. In the east and northeast area of the property lie the kitchen, rooms and stairways to the basement. The wind towers allowed for the basements to consistently benefit from a flow of cool air. On the southern side is a large covered hall adorned with many reliefs, artistic carvings and meshed windows which was the main area for various celebrations. It consists of a raised platform on its far side and would normally be reserved for the more important guests.